WeDriveU clients are earning praise for improving the commute to work. Connect employees in Boulder and Longmont with SendGrid’s new global headquarters at 1801 California Street in downtown Denver. In 2016, SendGrid and WeDriveU launched Colorado’s first WiFi-enabled employer-sponsored Residential Bus Service. 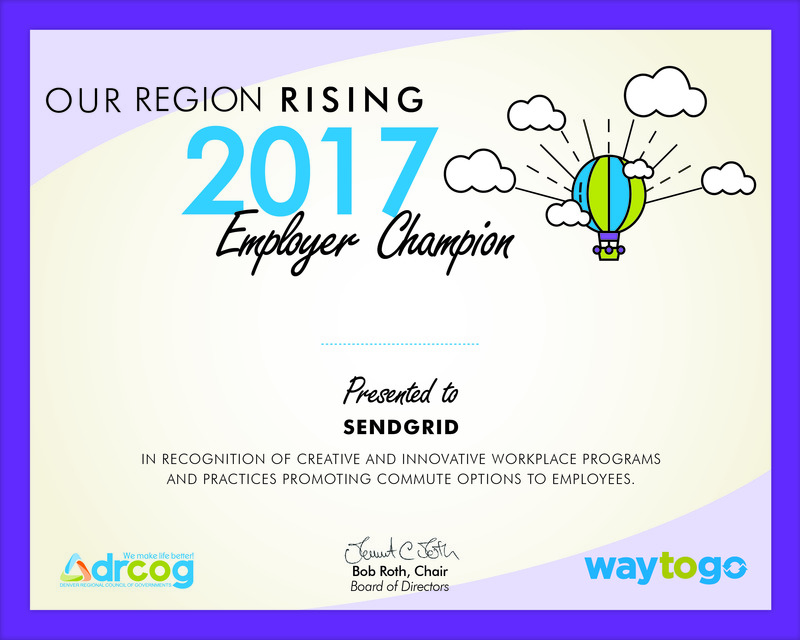 SendGrid was honored as the 2017 “Way to Go” Employer Champion for its employee shuttle program powered by WeDriveU. Presented annually by the Denver Regional Council of Governments (DRCOG), Way to Go Champions demonstrate leadership in promoting or advocating commute options other than driving alone. 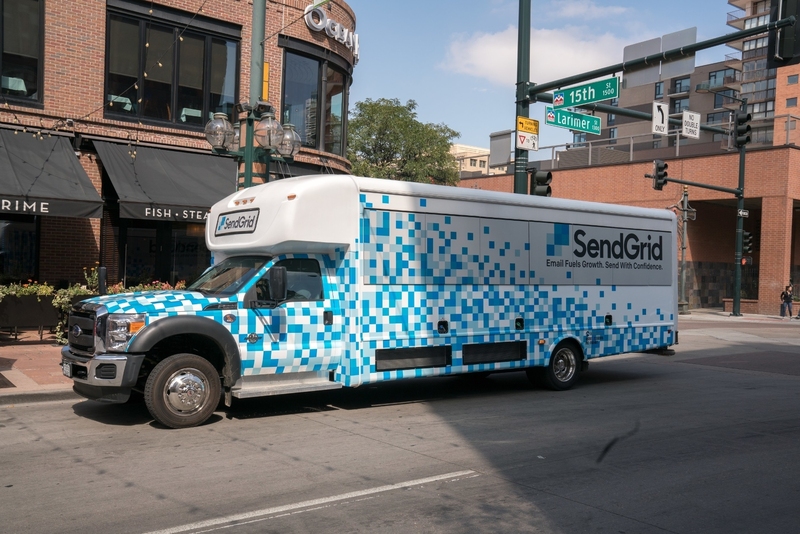 “SendGrid’s Wifi shuttle bus enables us to recruit from both Denver and Boulder in an innovative and productive way that is critical to our 4H culture of being happy, humble, hungry and honest,” says Scott Heimes, Chief Marketing Officer at SendGrid.